Bob and his wife Carolyn have been producing high quality, traditional horse gear since 1983.
as one of the top artists it the trade. 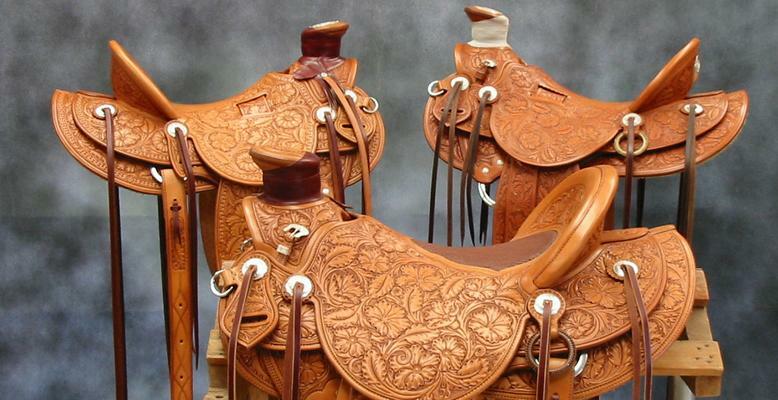 A Bob Ray Saddle is a cherished working piece of art. Having built over 500 custom Western Saddles, Bob's satisfied clientele range from the distinguished collector to everyday working horsemen and women. Bob's High Desert Saddle Trees are hand-built, crafted one at a time using the finest domestic woods available, custom cut for each individual order and covered with #1 Bull-hides.